Republic is a place to bid farewell to the past and be immersed in the aspiration-fuelled Canberra of tomorrow. Explore every corner and discover a thriving modern community whose collective eyes are focussed firmly ahead, injecting a vibrant new dynamism into urban living for generations to come. This is no place for the status quo. 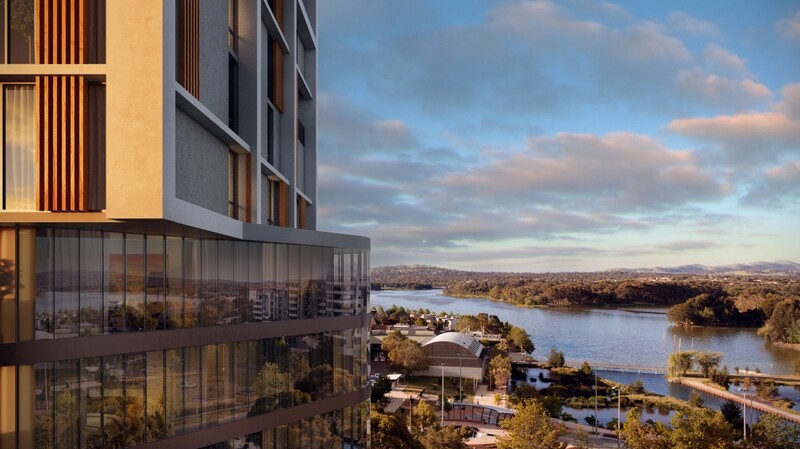 The Republic masterplan is built upon an unashamedly ambitious desire to reshape the very fabric of residential Canberra by challenging conventions and expectations. The result is a rich new definition of contemporary living that celebrates community and lifestyle, and overlays it with unrivalled value for money. Overlooking the tranquil waters of Lake Ginninderra, Republic puts a world of recreation and relaxation within effortless reach. Discover one of Canberra’s most extensive networks of bicycle and jogging paths. Enjoy watersports, skate parks and playgrounds. Or if you prefer, simply dangle your feet by the water’s edge, or watch the sunset from your private balcony. Republic is a place to live. But it’s also a place to be. Radiating out from the bustling ground-floor plaza, you’ll discover a fascinating and ever-changing blend of amenities, restaurants, shops and public spaces, bringing the Republic community together on a daily basis. Harnessing Australia’s most acclaimed and imaginative architectural minds, Republic presents a landmark vision for Canberra’s urban future; a future typified by the seamless blend of private and public spaces that reconnect local communities, together with premium apartments and the highest calibre of lifestyle amenities.